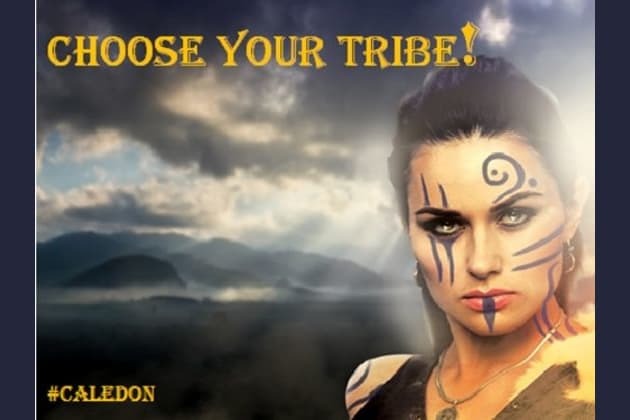 What Caledon Tribe Do You Belong To? What feels most like home to you? What words would best follow your name? It's a feast day, you're having a good time, and you see the object of your affection being flirted with by a rival. What do you do? Your tribe is at war and your chieftain is ignoring good advice. What do you do? You discover a secret about a member of your family, one that goes against the code of your people. What do you do? What is your weapon combination of choice? All I need are my hands and teeth! A powerful common enemy is a risk to both your tribe and a rival tribe. What do you do? Your only son decides to leave the tribe and seek his fortune in the wide world. What do you do? Give him your blessing and say he is welcome to come back... so long as his fortune has been made! Lock him up in chains if that's what it takes to keep him here! Family before all! And Finally: 'Money Makes The World Go Around.' True or False? Congratulations : You Are Gorvicae! It seems you are a decent sort overall with some solid priorities, even if you can be short on patience sometimes! These hardy northerners value loyalty to home and tribe above everything else and have a strong sense of the sanctity of justice. Completely convinced that they are superior to every other tribe of Daeria, they are always keen to prove this in good old-fashioned single combat. They are quick to anger and slow to forgive, and have been known to hold grudges for years at a time. The only compromise these proud folk will ever make as regards their honour is for the survival and prosperity of their people. To the Gorvicae, the tribe comes before all! It seems you have a nice balance of firm values and kind understanding; trusting to the good nature of others and with a moral code that you stick to like glue! The Caderyn are the largest and most powerful of the Three Tribes, yet they are rarely arrogant about their position. Though proud, they always have time for the needs of others and are generally a friendly and accepting people, more eager to share a drink than to trade blows with a new acquaintance. When it comes to battle they watch one another’s backs, and fight with a strong sense of personal honour. If a fault is to be found in them, it is that they are sometimes too quick to trust and can be naive when faced by someone who values honour less than they do. Congratulations : You Are Dariniae! So, you’re a bit of a troublemaker, eh? The Dariniae are not without honour of course, but you are perhaps a bit more... flexible than most people about obeying the rules, especially if it means getting what you want! The Dariniae are the feared raiders of Niswyn, sailing out from their rocky isle to pillage the coast of whatever tribe seems the easiest target. Their Gadarim warriors will fight just as fairly as anyone, but for the most part the Dariniae seek only fights that they know they’ll win. For untold generations the mainland tribes have learned to keep a watch on the sea, and fear the dreaded black sails when they appear on the western horizon. Congratulations : You Are.... Gaian? The Gaians have created the greatest Empire ever seen, and they have done it by conquering and sometimes enslaving any who object. On the plus side they bring with them a culture of learning and advancement; of civilized laws and semi-democratic government. On the other hand, joining this enlightened Empire is rarely a matter of choice (not that you'll mind of course, you're on the winning side)! Welcome to J.P. Harker's Land of Daeria, home of the Tribes of the Caledon! Many and varied are the peoples of this land, but where do YOU belong? (if indeed you belong with one at all!) Are you best described as a Wildcat, a Leaping Wolf, or perhaps something a little more sinister? Find out now!